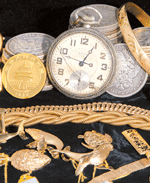 Our customers have trusted us for more than 43 years in selling and buying all kinds of coins. We offer the best value whether you are selling coins or buying them for your collection or as an investment. We also buy and sell gold and especially sterling silver in any form. At Kamaaina Coin & Cash for Gold, no transaction is too big or too small.